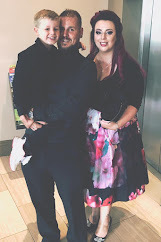 Amber Necklace - I purchased one of these from Bella Baby about 3 or 4 weeks ago I genuinely think it's made a big difference. It was €20 and well worth it. It says it takes about 3 weeks to work, to give the amber a chance to work with the skin but I saw a difference much sooner, his red cheeks went down and the drooling reduced. He wears it all the time except when he's in the bath. They can also be found at Baltic Amber. Nelson's Teething Granules - I find these to be great for an almost instant pain relief and just a general calming effect. I would rarely need to use more than one or two sachets a day. Ideal if the teething pain comes on while out and about, no need to be messing about with any spoons or syringes. Bonjela Teething Gel - Great for soothing the gums, we've only started using it recently and found it great for during the night, easy to apply without disturbing him too much. 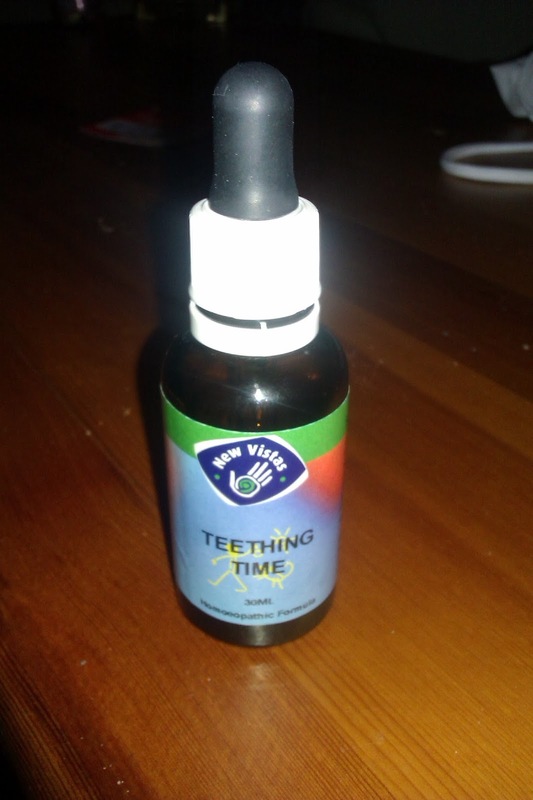 New Vistas Teething Time - This stuff is magic! Its a blend of all natural ingredients and is best used twice a day. We were advised to use it 20mins before the mid morning bottle and 20 mins before the bedtime bottle. 5 drops on the tongue each time. It helps L through the night and throughout the day if done this way. The difference in him in the last week has been huge, he's had so much relief from these drops. The hand is still in the mouth but not as much, the bibs are still being changed but not as often and his general well being has improved. They aren't cheap though, this bottle cost €15 but I would definitely say well worth it. They can be purchased online slightly cheaper at New Vistas Healthcare. I'm much happier giving L homeopathic remedies where possible rather than filling him with pharmaceuticals but of course the Calpol and Nurofen have come in handy now and then too particularly for bringing down a temperature. He's getting better at the whole hand to mouth thing and gripping on to things for longer so hopefully he will be able to use the teething rings etc soon..I have loads of them chilling in the fridge ready and waiting.